No Slow Play Here, addressing the issue of slow play head on, Speedgolf is a faster more athletic form of golf, which pitches Pace against Accuracy. The skill of the sport lies in balancing your running pace whilst managing your ability to quickly and accurately play your shots to get the lowest score possible as your Speedgolf Score combines the two. 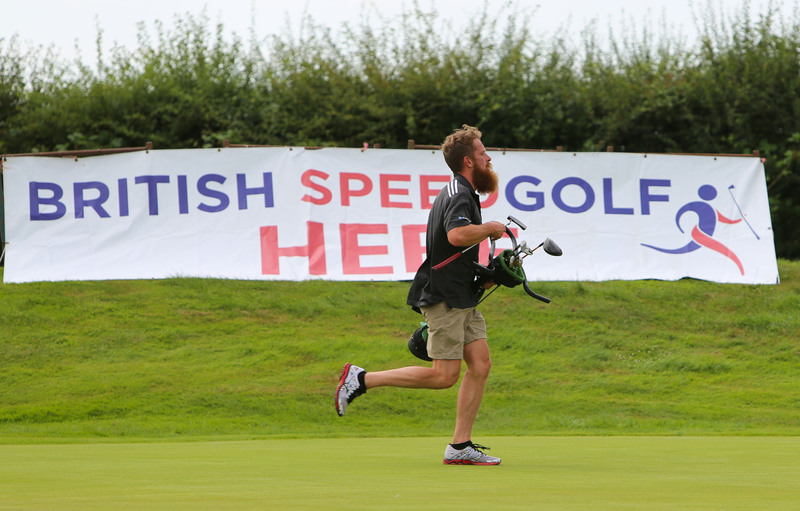 The 2016 British Speedgolf Open Championships got underway with an appropriate running start and competitors were set off individually to conquer the spectacular hilly championship course at Dale Hill Golf Club near Ticehurst, East Sussex . The 18 hole Dale Hill course would normally take some four hours to complete, but today play was much, much faster! 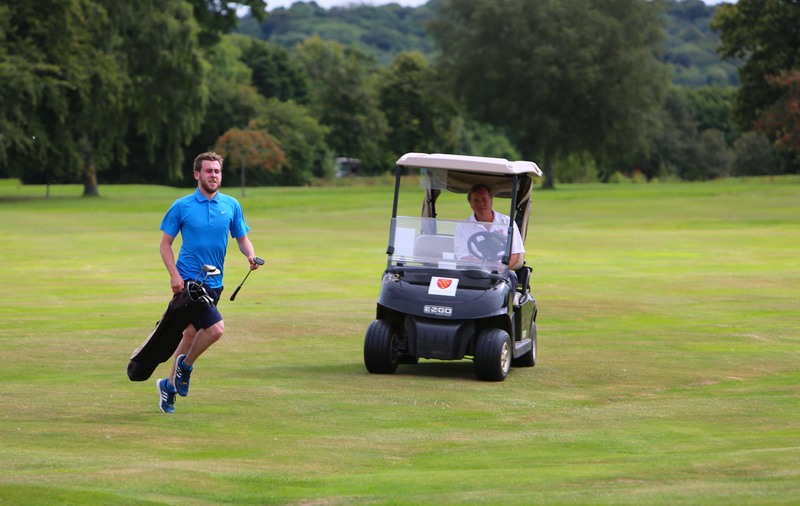 Buggies are strictly prohibited in Speedgolf, but were used at the Championship by scorers/spotters to follow each competitor to ensure the strokes were verified and to aide ball spotting. 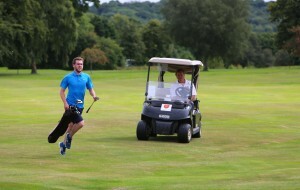 For the Dale Hill club volunteers this was the fastest and most exciting golf round they had witnessed. In the Expert Division, it was an intense battle for top honours with just two points separating the top three! 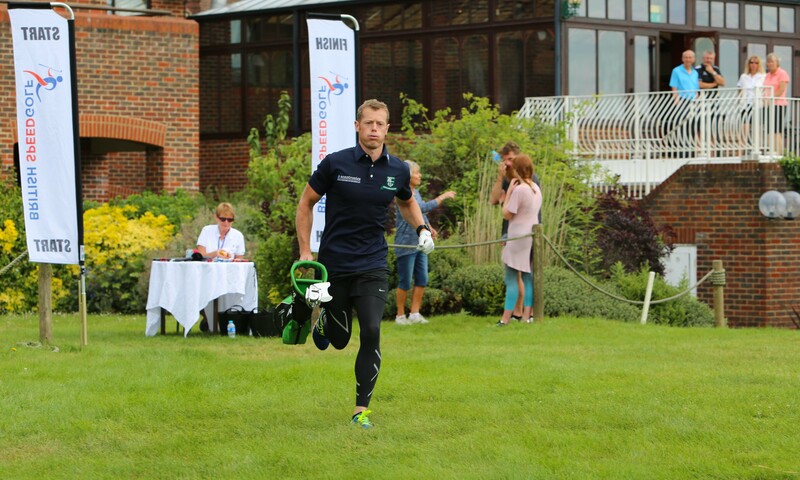 Ireland’s Rob Hogan, put in a blistering performance shooting a round of 82 strokes in just 36 minutes and 59 seconds; Speedgolf Score of 118:59, successfully defending his championship title. Runner up was Chris Benians, a former European Tour member, who was a tantalizing whisker away, shooting just 2 over par with 71 shots but coming back in 48 minutes and 17 seconds giving him a Speedgolf Score of 119:17. Third place George Boxall , just 24 years old, was chasing with an equally impressive Speedgolf Score of 120:03, such was the quality of play and pace at this year’s event. In the Women’s event, Emma Morgan from Crowborough, East Sussex also successfully defended the Women’s Speedgolf title by shooting 98 in 63mins 17 seconds giving her a Speedgolf Score of 161:17. 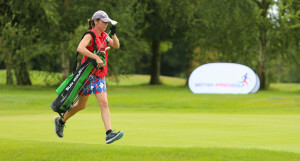 Emma plays County level golf for Sussex with a regular golf handicap of 6. Speedgolf is not just for the elite in golf or those who are exceptionally fast or fit. There was a novice category designed for those newest to the sport with less accomplished golf and running capabilities, some were even relatively new to golf. 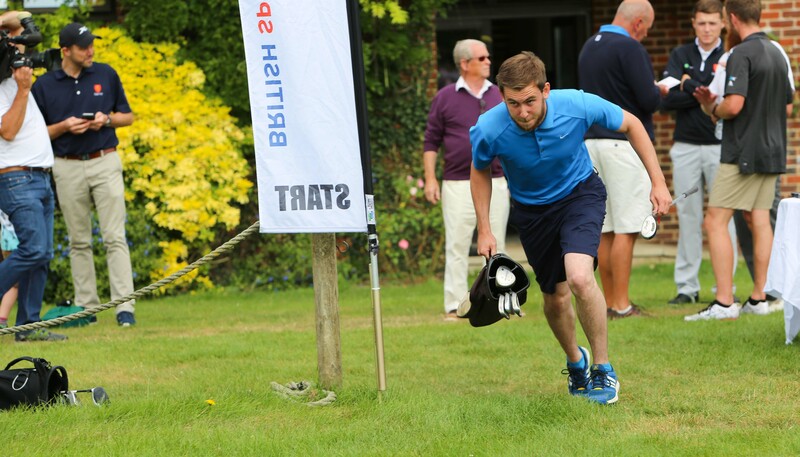 Stuart Green from Birmingham, in the Midlands who took top honours scoring 83 in 55minutes 53 seconds; Speedgolf Score of 138:53, the 22 year old was a complete novice! 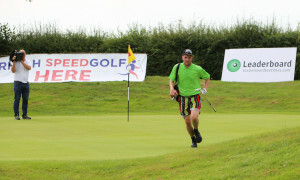 For a second year in succession, all competitors completed the demanding 18 hole course in an average time of an hour. On the same day that Justin Rose did our nation proud by taking the Gold in the Men’s Golf at the Rio Olympics, our champions shone equally as bright in the Sussex sunshine. 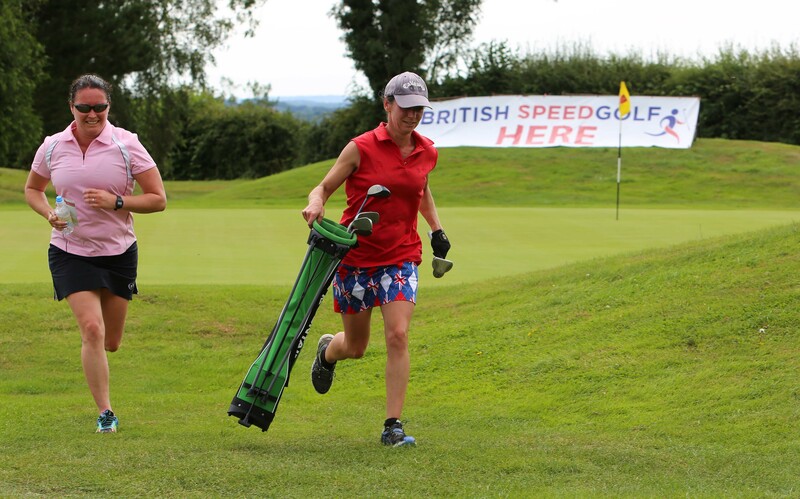 In Speedgolf, it is passion and the thrill of the challenge that drives success; there was no prize purse for the winners but something far more valuable, the accolade of becoming a British Champion and the respect and admiration of many from the golf and running community.